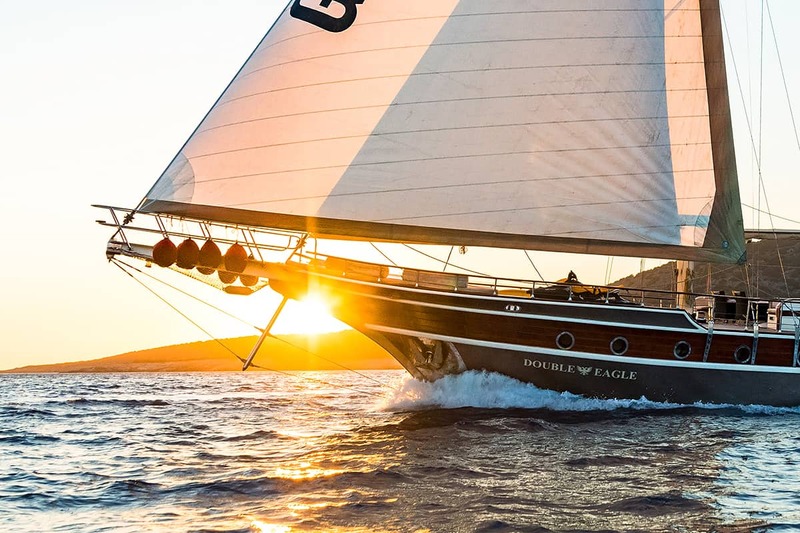 If you have any questions about the DOUBLE EAGLE information page below please contact us. 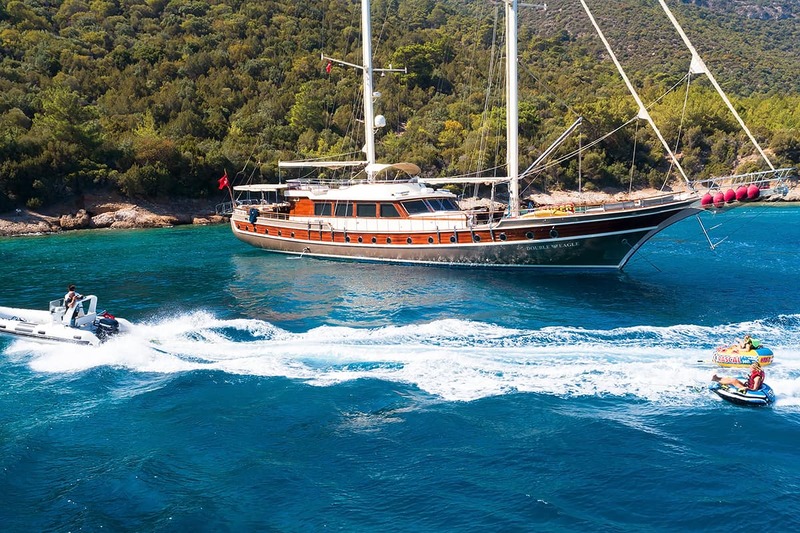 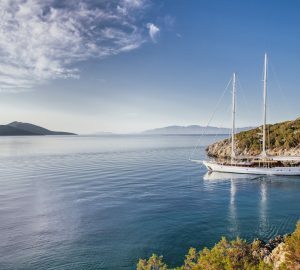 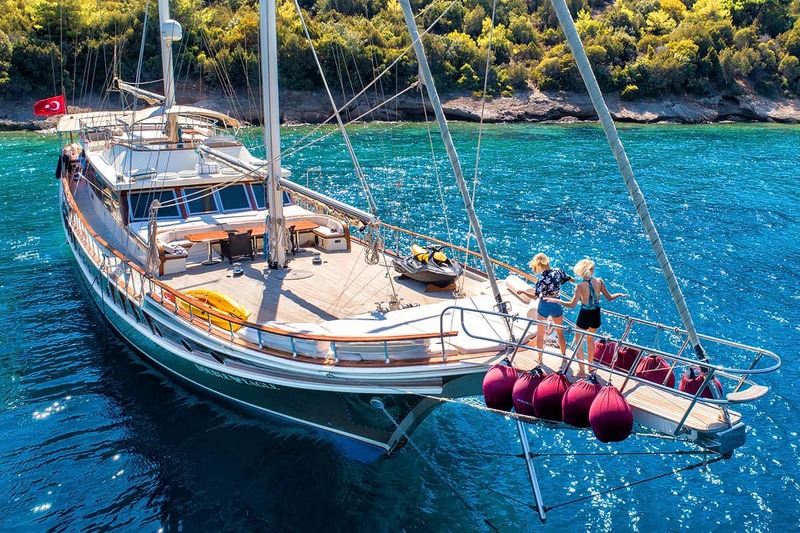 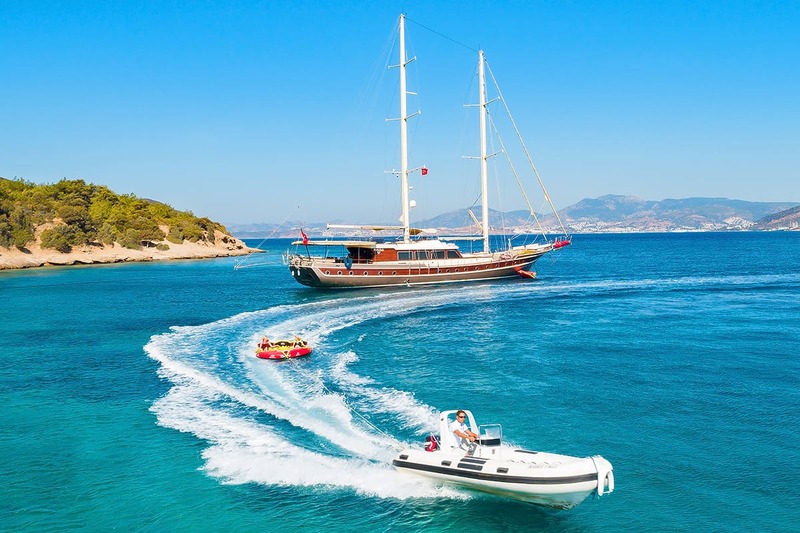 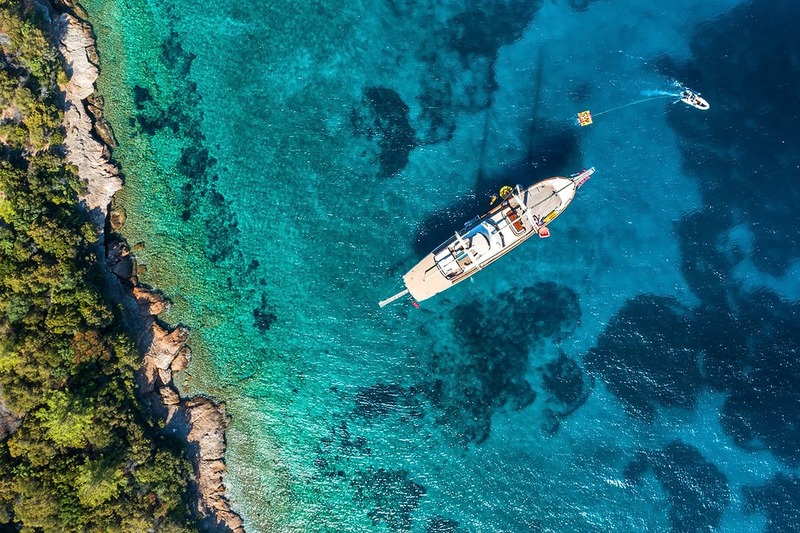 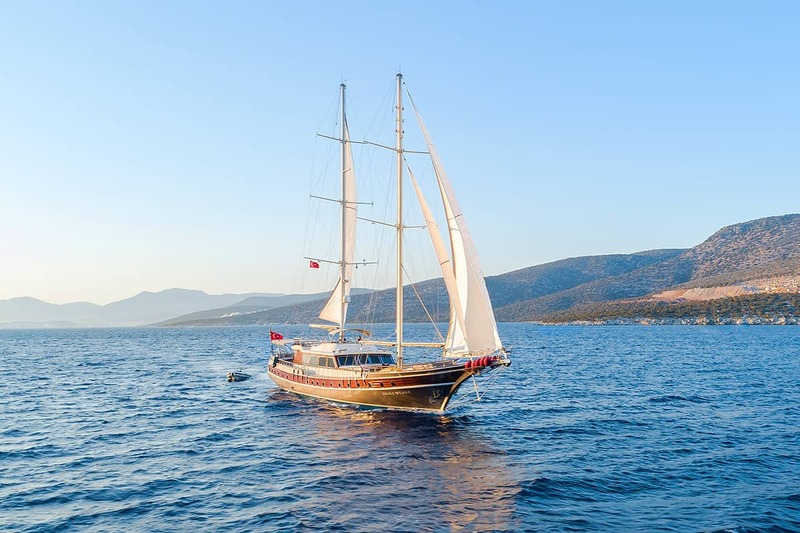 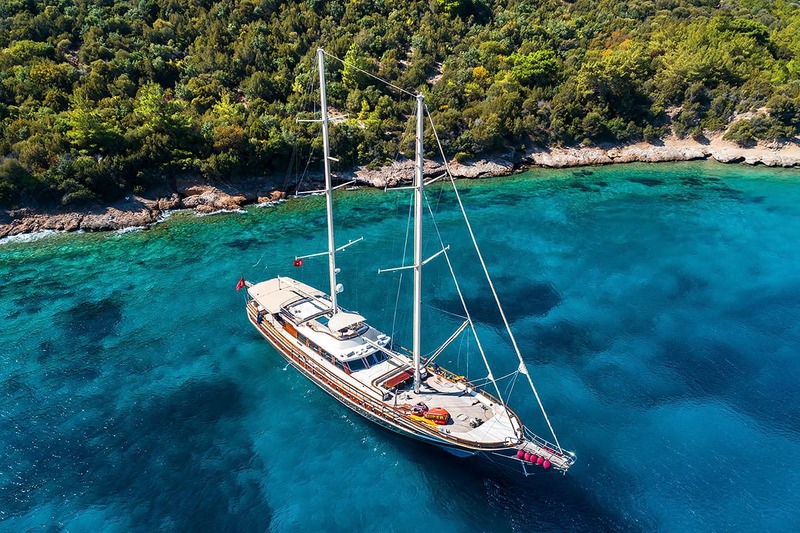 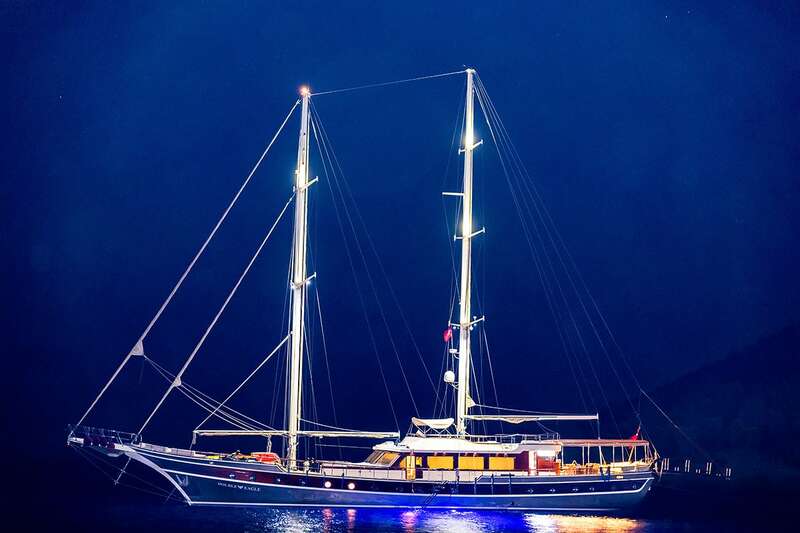 39.6m/130ft sailing yacht DOUBLE EAGLE was built by Bodrum Shipyard in 2005 and last refitted in 2018. 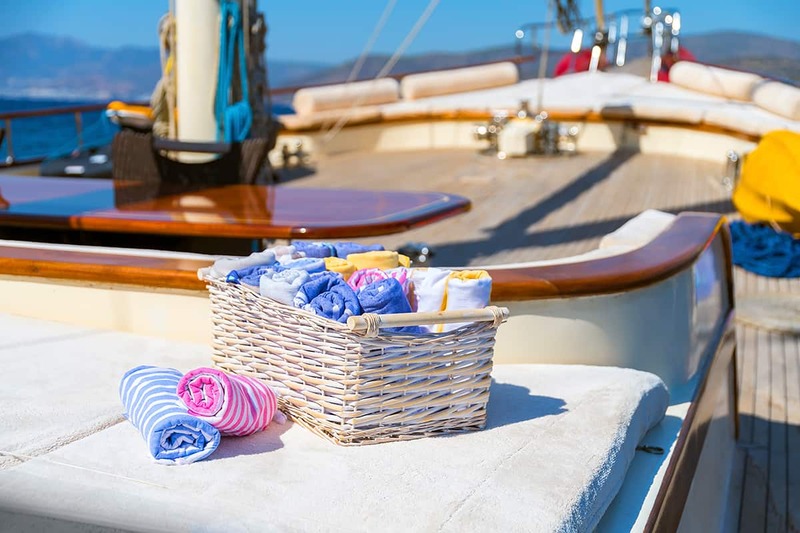 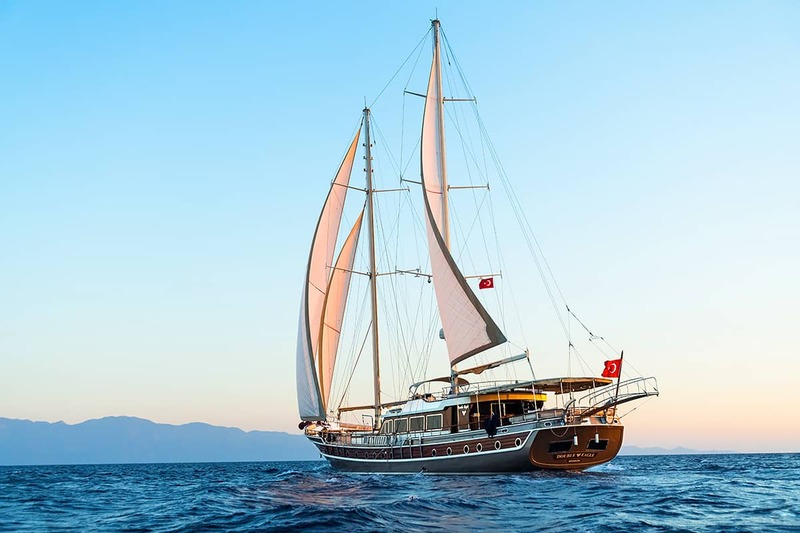 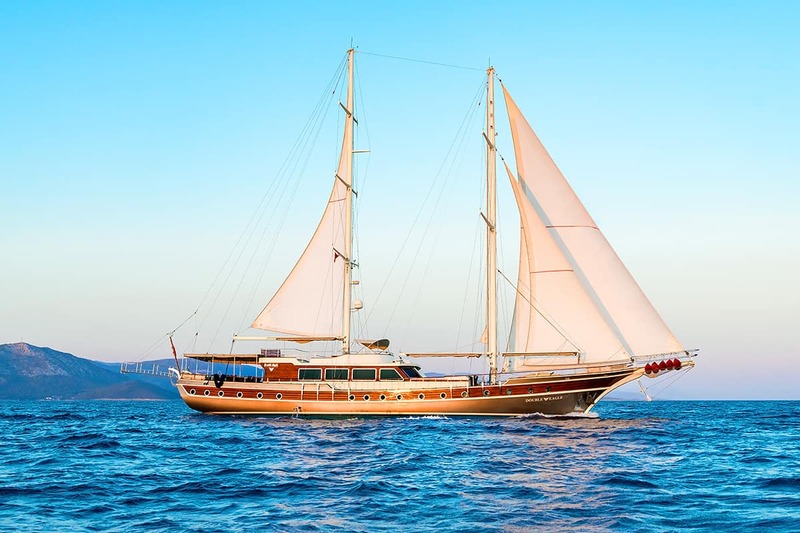 Constructed with a wooden hull and superstructure, she is a traditional vessel with all the modern amenities and comforts that her guests could ever need. 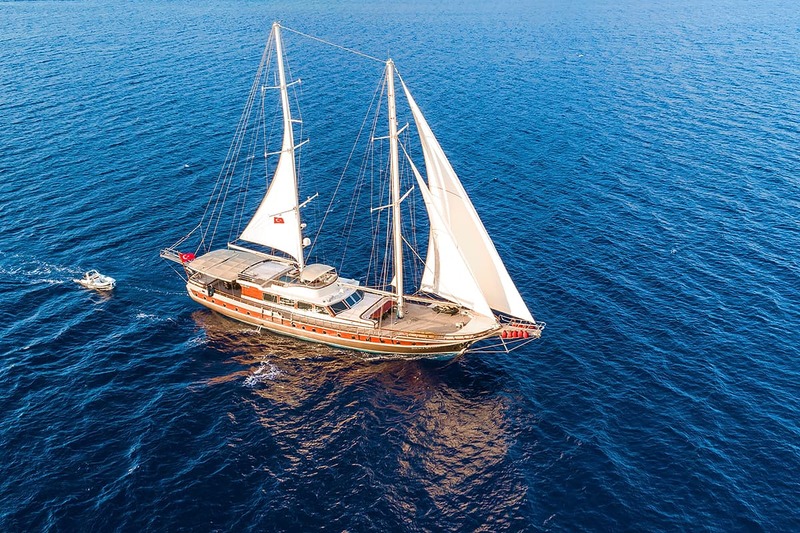 Her accommodation sleeps up to 12 guests over five en-suite cabins, with a crew of six for exceptional service throughout the journey. 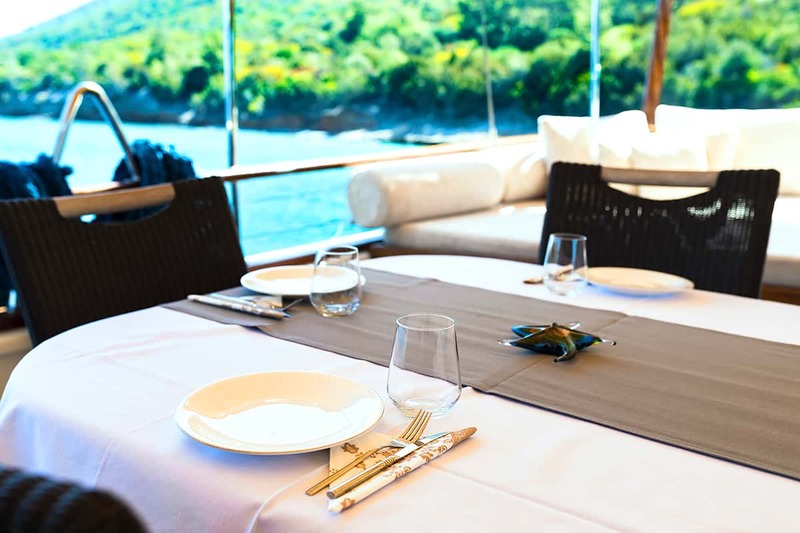 Above deck the stern section is furnished with an elegant alfresco dining area that seats eight and a broad raised sunbed covers the stern. 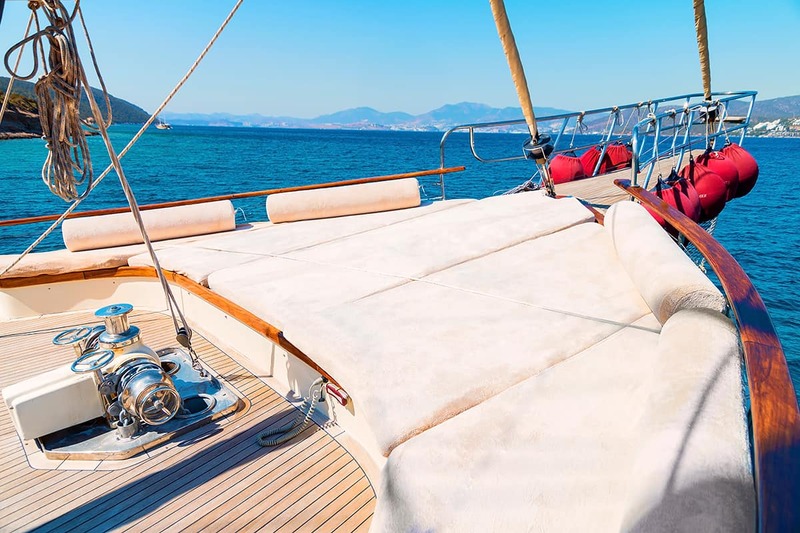 On the foredeck there is plenty of room on the foredeck for exercise, observation and sunbathing. 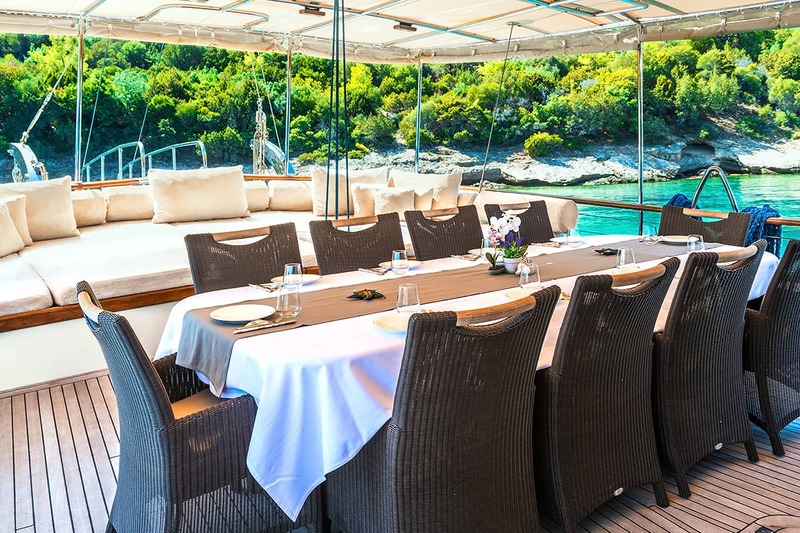 In front of the helm station there is a C-shaped sofa around a raised dining table for enjoying drinks at sunset or under the stars. 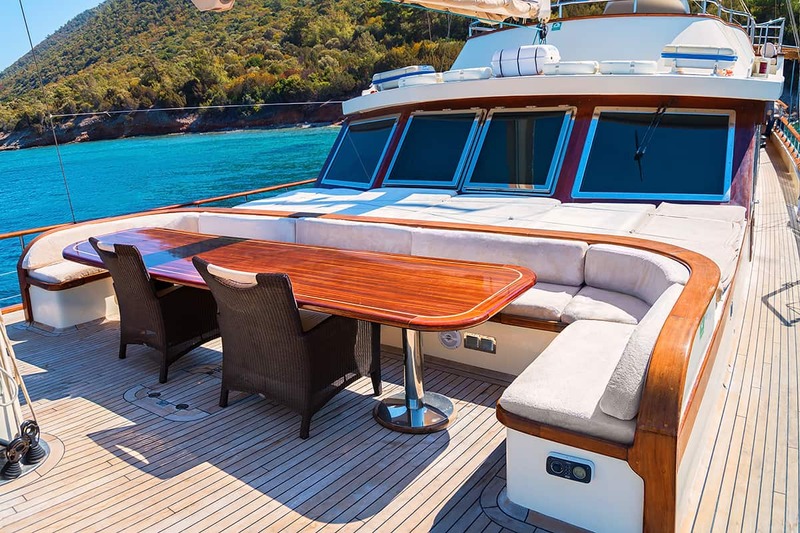 The flybridge is covered by a canvas bimini and the controls are placed port of a forward L-shaped seating area with a drinks table. 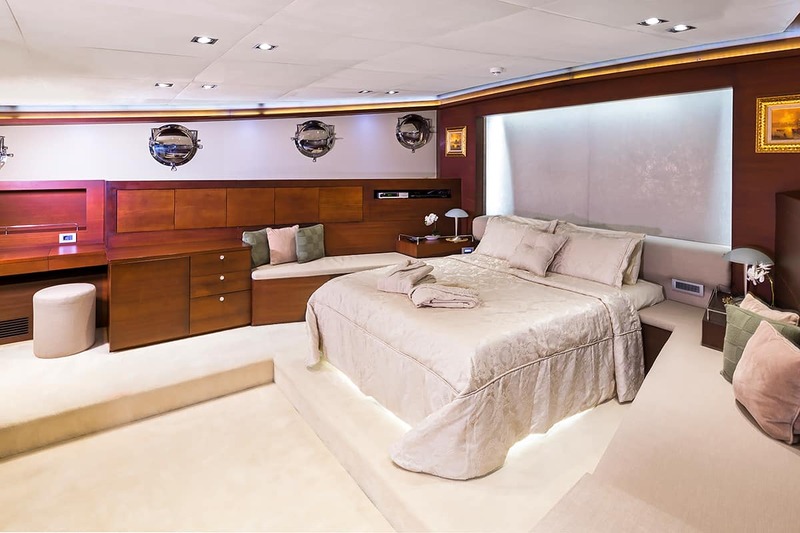 To the aft there is a final sunbed spread the entire width of the flybridge. 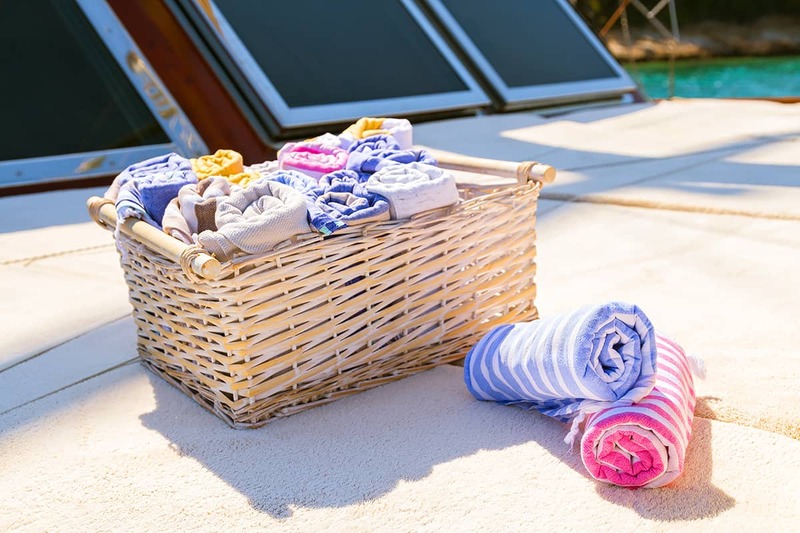 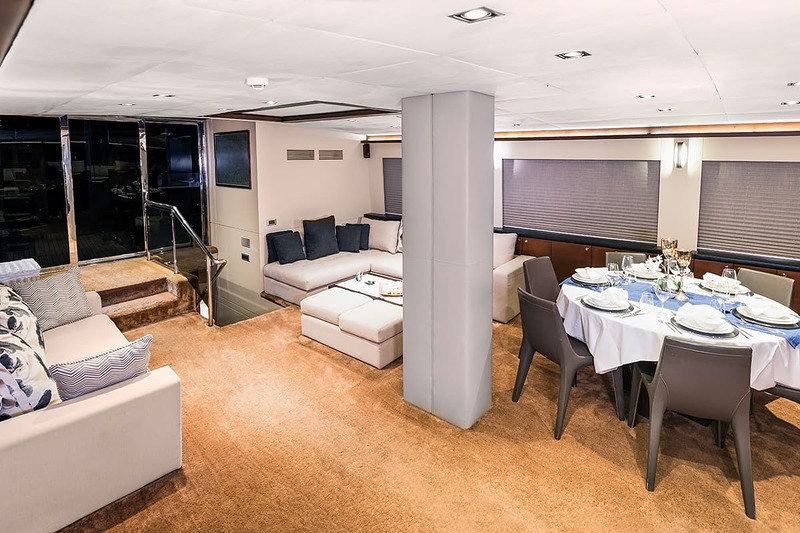 The lower deck hosts the guest and crew accommodation, with the main deck offering an enormous open-plan salon with a chaise-sofa, coffee table and footstools with an additional sofa opposite. 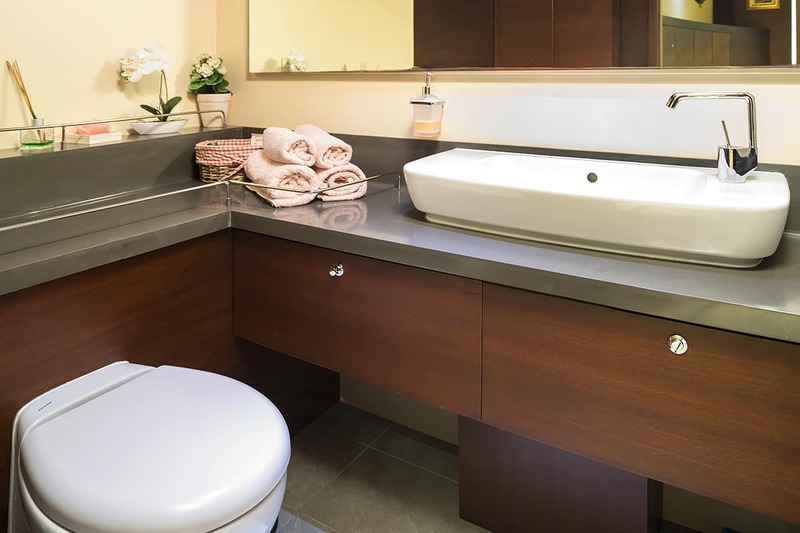 A skylight above can be opened for even more natural light in the interior. 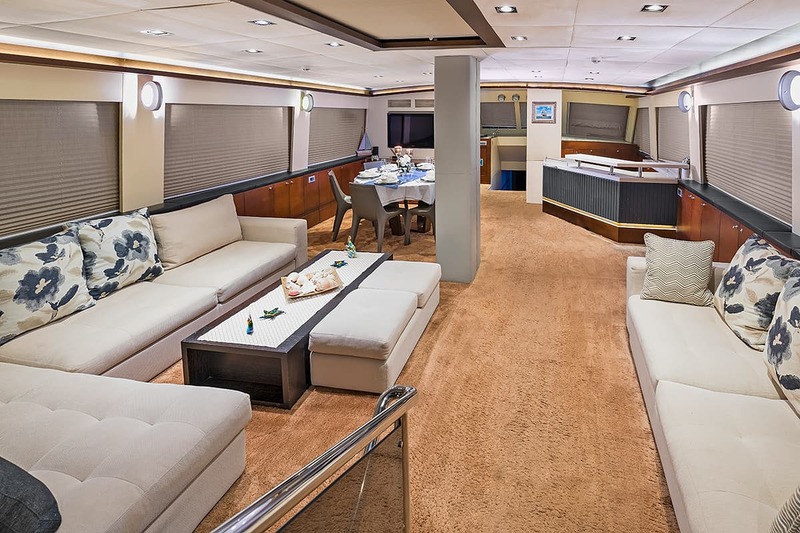 A dining area to seat six is placed forward to port with a widescreen TV mounted on the forward wall, and opposite there is a wet bar. 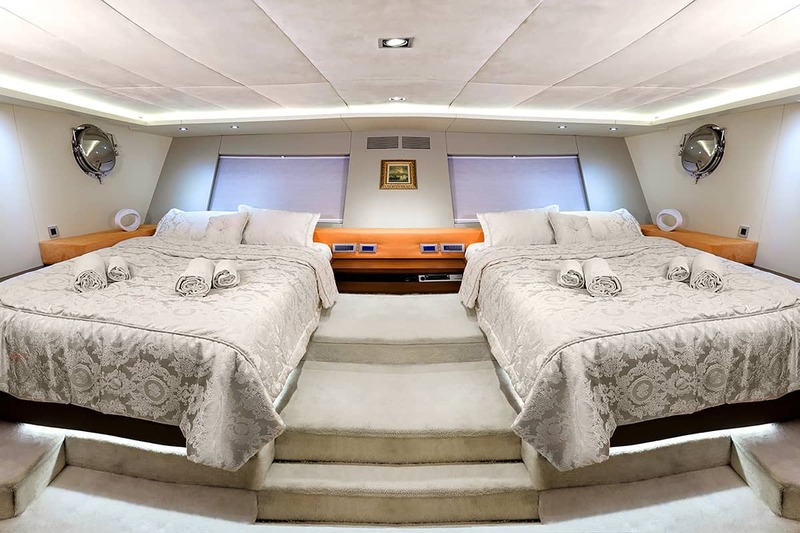 The accommodation sleeps a maximum of 12 guests across 5 en-suite cabins: 2 Master suites, 1 double cabin and 2 twin cabins. 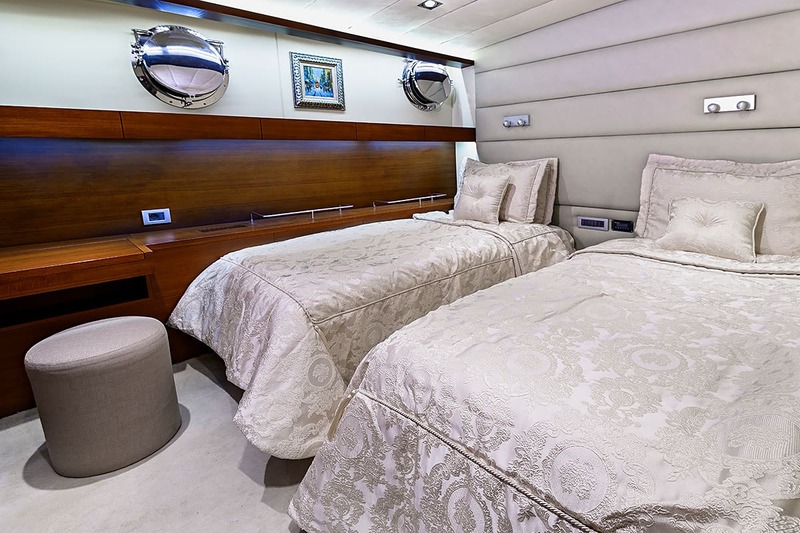 The beautiful Master suite provides a sofa and day bed as well as a vanity in addition to the king-sized bed. 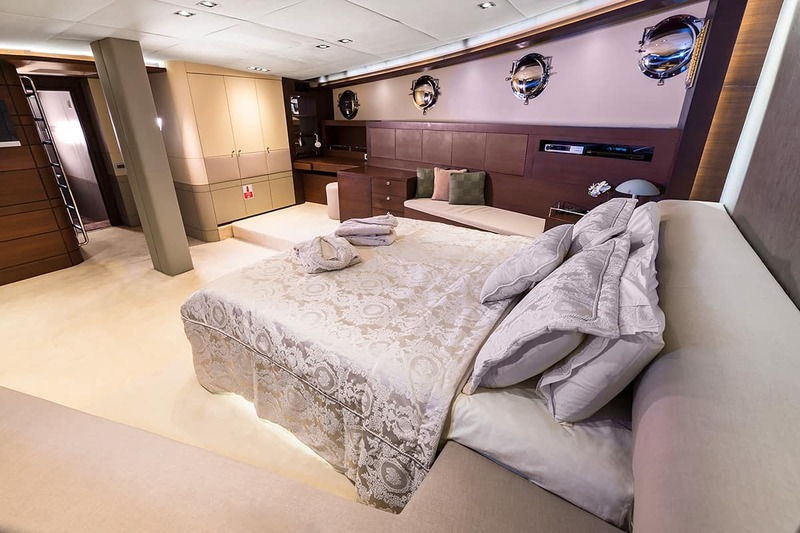 The second master suite provides two raised double beds, while the double cabin and both twin cabins also have vanities. 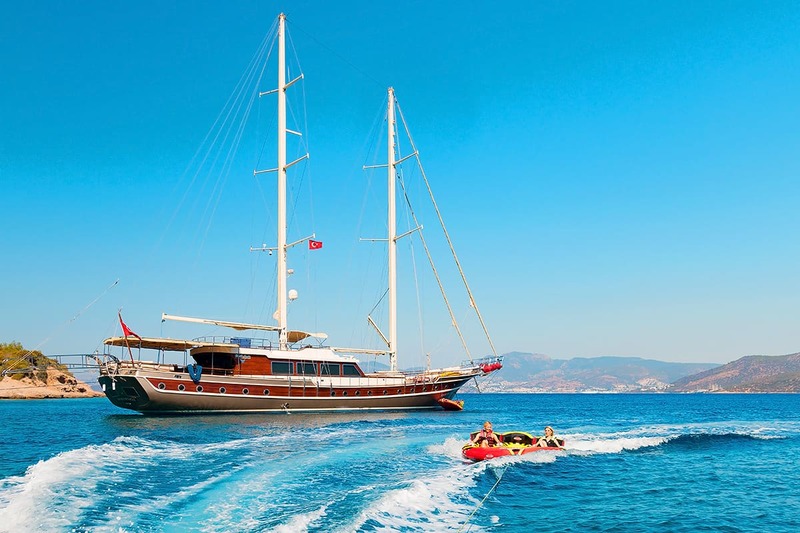 The crew of 6 will ensure that everything runs smoothly throughout the journey. 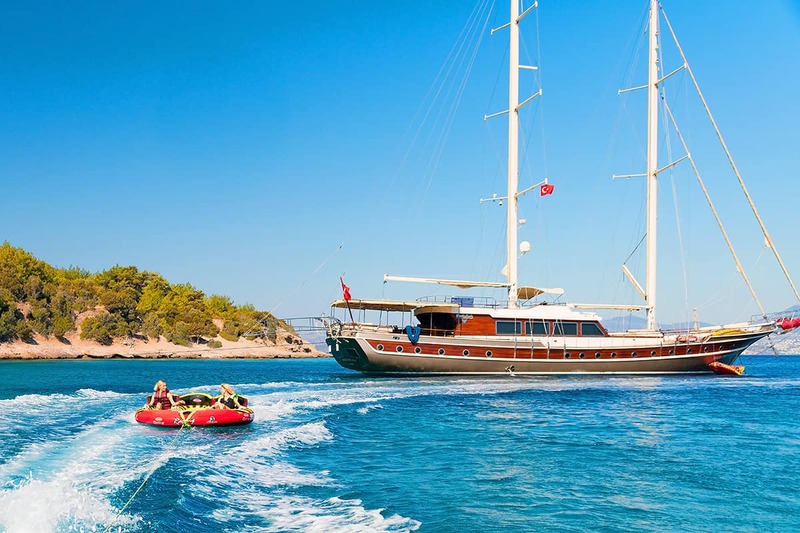 The luxury yacht DOUBLE EAGLE displayed on this page is merely informational and she is not necessarily available for yacht charter or for sale, nor is she represented or marketed in anyway by CharterWorld. 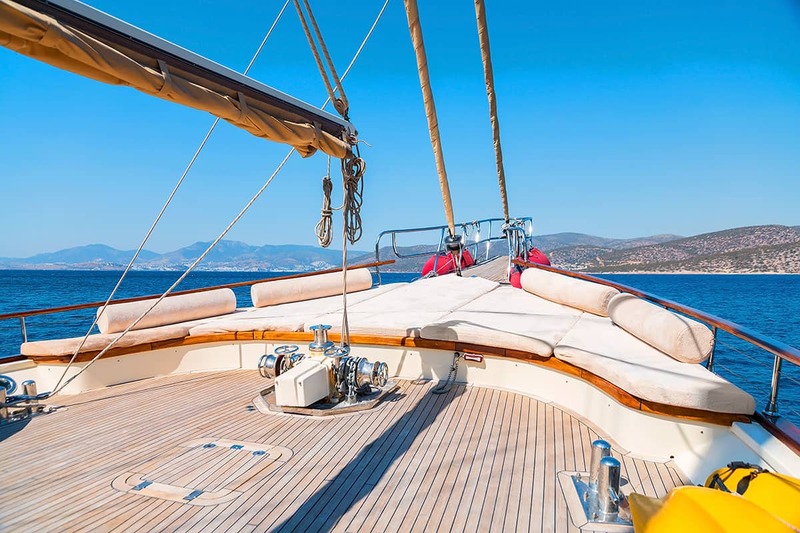 This web page and the superyacht information contained herein is not contractual. 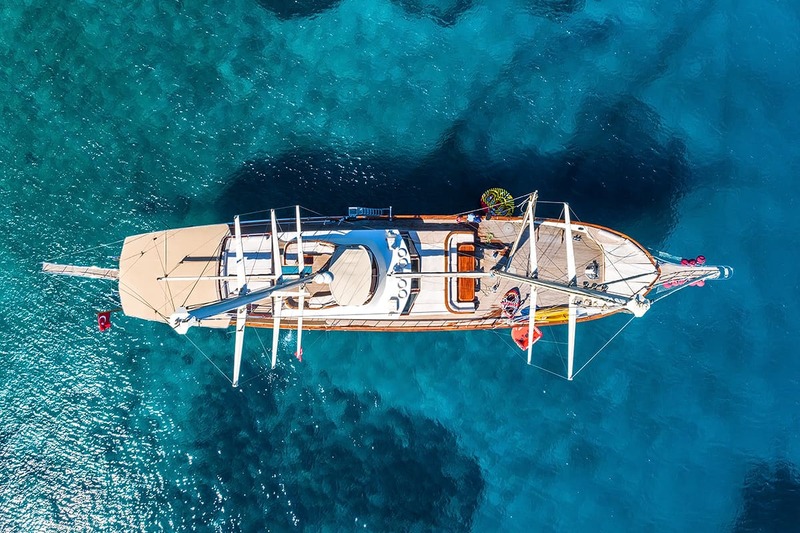 All yacht specifications and informations are displayed in good faith but CharterWorld does not warrant or assume any legal liability or responsibility for the current accuracy, completeness, validity, or usefulness of any superyacht information and/or images displayed. 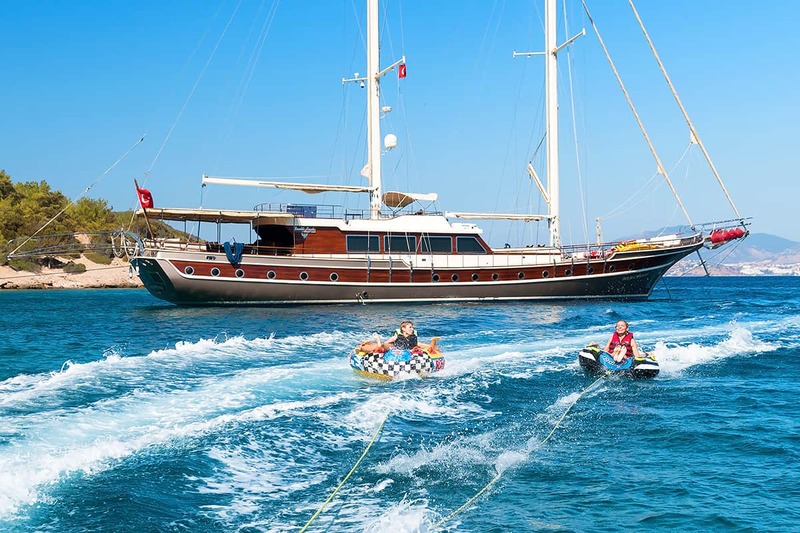 All boat information is subject to change without prior notice and may not be current.